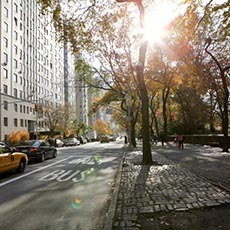 East Village is above Lower East Side, stretching from Houston Street up to 14th Street. 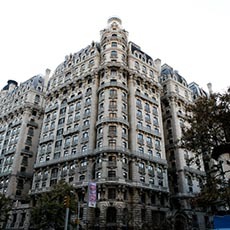 It is bordered by Fourth Avenue to the west and the East River to the east. 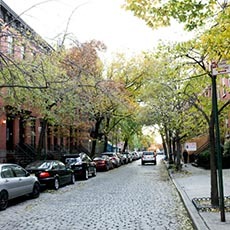 Much of East Village’s character comes from its prewar walkups. There occasional mixes with new high-rise luxury buildings. 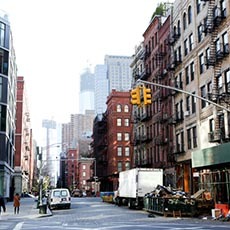 St. Marks Place, Bowery, and Loisaida (Avenue C) in Alphabet City are the bustling thoroughfares in the neighborhood. Tompkins Square Park taking three blocks connects Avenue A and Avenue B. One of the outstanding prewar buildings in Eat Village is Ageloff Towers which is a co-ops apartments with art deco details. There are authentic restaurants offering all kinds of food from Polish dishes to Japanese cuisines. One of the highlights in East Village is its nightlife; bars, nightclubs attract people from all over the city. This is also the birthplace of punk and rock.